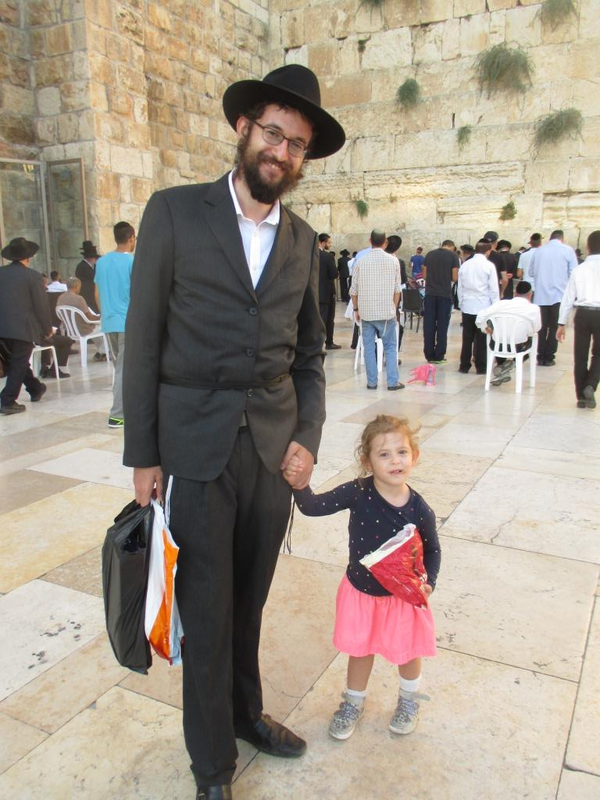 Levi came into the Kotel area with an Israeli. When I asked the Israeli to put on tefillin he was really not interested, but then Levi told him that it would be good for him, so he came over. Levi looks like a typical, sweet Lubavitcher chossid, with a kind smile… nice guy, but that was all I saw in him until he told be where he is from…Viet Nam! "We are taking a two week break before we return." "You are on shlichus in Viet Nam!!" A shliach is a messenger, a Jew who has been sent on a mission. Today it almost always refers to a Chabad emissary who has been sent out into the world to set up a base from which he is to reach out to the Jewish people he finds there. The first one to do such a thing was Avraham Avinu who would set up his tent at crossroads looking for travelers to invite in for a meal and a lesson on the One G-d. Since then, no one was so noted for reaching out, certainly not to the simple Jew, until the Baal Shem Tov came along some 300 years ago and founded the revived Chassidic movement. However, since the beginning of time no one, no one has ever come close to what the Lubavitcher Rebbe has done regarding reaching out to Jews all over the world, trying to bring them to a Torah life. Never before has a wonderful Jewish woman such as Levi's wife agreed to relocate her life with her small children to a strange place far from any of the normal required needs of a Jewish family; no Jewish schools, no easy to find kosher food, no Jewish community, no Jewish friends for her children to play with, and on and on, all missing… yet she is willing to go only because of her love for Hashem, His people, and her trust in the wisdom of the Rebbe. I am in awe of this young couple. Hashem bless them to succeed and accomplish all that they ever dreamed to do. Fill their lives with success both spiritually and physically. May their children grow in strength and grow up to be just like their wonderful parents. G-d bless them and the holy memory of the Rebbe. What do you mean by "revived Chassidic movement”. Revived from who, what and where? Are you referring to the Alter Rebbe, Shneur Zalman being the first chassid?